Don’t use your credit cards for at least 90 days before filing a Chapter 7 bankruptcy. I actually heard a client say this: “Well, I got a couple more cards and ran them up because I knew I was going to file for bankruptcy.” In the Federal Bankruptcy Code, this is fraud and abuse. Any fraudulent use of credit cards before filing can be made not dischargeable, meaning it doesn’t go away. You should try to stop using any credit cards before filing for bankruptcy. I know: you have no cash and credit cards are the only thing keeping food on your table and the lights on. 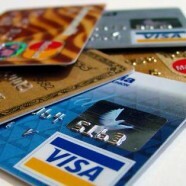 Still, any charges on credit cards within 90 days (longer for luxury items) may not be discharged in your bankruptcy. The creditor can file a motion to determine whether those charges were in good faith, or if you charged things knowing you couldn’t pay them back. The basic premise of bankruptcy is the “fresh start” you get, so anything you can do to avoid charging things right before filing will help reach that goal. The longer you can wait to file bankruptcy from the last time you used your credit cards, the better your bankruptcy case will be.